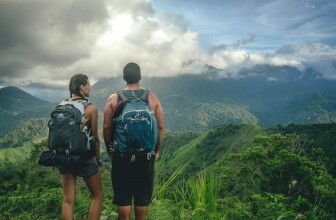 Any professional photographer knows that a good sturdy unique camera bags with lots of pockets and a functional design is essential to both travelling around with a digital SLR camera and conducting a positive photo shoot outdoors. 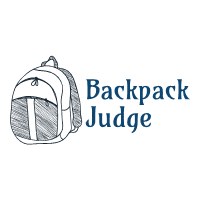 There are many practical camera bags out there to choose from, but most come in the form of a standard black backpack. Only a handful of those are actually unique in appearance. 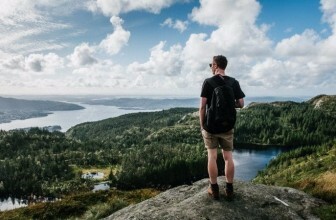 For this reason, I have decided to compile a list of ten unique camera bags which, while functional, stand out among the rest in terms of design, appearance, and even material used to construct them. I hope you enjoy this selection as much as I do! This handsome khaki-coloured bag has a classic retro look which looks well-matched with any casual attire. Discrete and masculine, it will fit small DSLRs such as the Nikon D3000 along with two lenses, or medium-sized DSLRs like the Canon Rebel with one lens. Sadly, it will not fit large Pro DSLRs like the Nikon D3. It is also possible to fit an iPad in this bag as long as it isn’t overly packed. It comes with a durable zipper, thick canvas on the outside, and cotton on the inside to keep your camera well-protected from the elements. 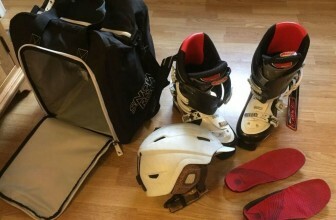 There are lots of pockets for accessories such as filters, cleaning gear, batteries, phones, and other small personal items. The inner dimensions of this bag are 18.5 x 10 x 21 cm. 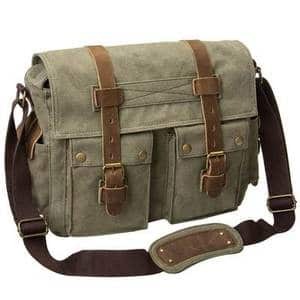 This khaki green canvas camera bag is another great companion for street or outdoor photography. It has an interior dimension of 8.5 x 5 x 6.3 inches, and can hold up to 10 kg. 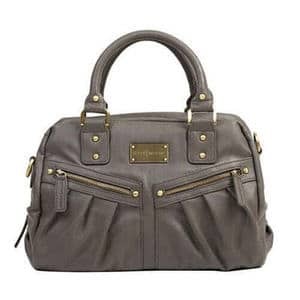 It has an attractive and casual design, with a copper hanging button, many well-placed pockets, and a military appearance. The green khaki colour is slightly more pastel than the picture leads you to believe. 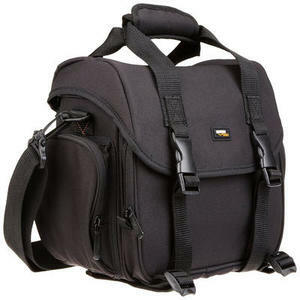 As with the previous camera bag, it is best-suited to small to medium-sized DSLRs. For instance, it can fit a Canon Rebel T3 with one lens and a few accessories such as a cellphone, charger and extra batteries. With its padded insert and water-resistant canvas, you can be sure that your camera will be protected from the elements. There is also a back pocket which can fit a small tablet. The iPad fits, but sticks out about three inches at the top. 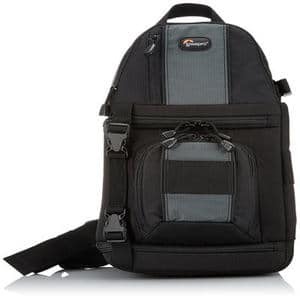 Sling camera bags are extremely popular among photographers who have to walk long distances, and frequently have to pull different lenses out of their bag. This sling bag by Lowepro is weatherproof and has been built to accommodate not only a DSLR with lens attached, but also guidebooks, light lunches, keys, maps, and small accessories for your camera. There is also special compartment for a water bottle. 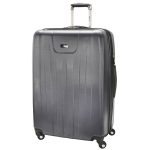 It is a very comfortable bag, with a wide strap and shoulder pad to distribute the weight of the contents. A big plus is that it doesn’t look anything like a camera bag, so you won’t stand out like a sore thumb in the city. 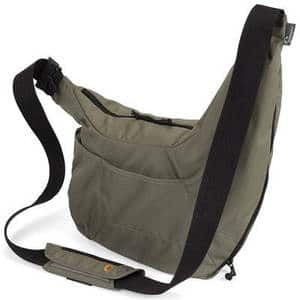 Here is another popular sling camera bag by Lowepro. As with the previous sling bag, it comes with a single comfortable strap you can use to swing the bag around in front of your chest. Completely weatherproof thanks to its all-weather cover, it is perfect for photojournalists or nature-loving photographers who expect to go on long walks with their equipment. It can fit a DSLR with a mid-sized zoom attached, as well as two extra lenses, other small camera accessories and your important belongings. The inside of the bag is padded with a microfibre cloth that keeps your LCD screen clean. Are you into reducing, reusing and recycling? 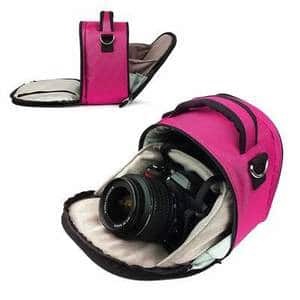 Then this is the unique camera bag for you. The Mountainsmith Borealis camera bag has been made from 100% recycled ReDuraTM PET, and has a heck of a lot of compartments for a backpack. 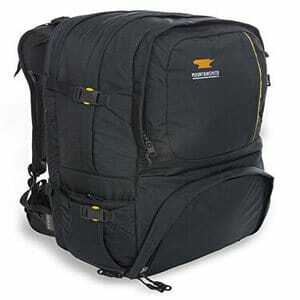 It can easily fit a DSLR, two lenses, a laptop, tablet, and external hard drives with room to spare. Comfortable to carry, it makes a great companion for long hiking trips or overnight camping. It is made of heavy-duty material which will protect your camera even if you have the tendency to treat your bag roughly. What can I say? I love the form of this camera bag. A sling bag like two of the other models shown here, the Fancier Delta hangs comfortably at your side, giving you easy access to your DSLR camera and any other accessories you might need. It is made of durable material, and comes with a cellphone and water bottle pocket. The only downside is that it is designed for small DSLRs, not large models. As such, it is more appropriate for beginners than professionals. It comes in a choice of green or brown. 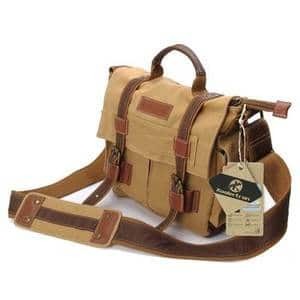 As you can see, I love sling dslr camera bags for women, and this model certainly deserves a place on this list. On the inside are dividers which protect your camera gear, while the outside is made of weather-protected nylon. With an interior dimension of 6.9 x 4.5 x 9.4 inches, you will be able to fit a medium-sized DSLR camera with a lens attached, a number of accessories such as batteries, cables, or flash, and other important documents with room to spare. The only negative aspect to this bag is that it doesn’t have a storage area for a tripod. This particular camera bag by Vangoddy has been made specifically for Canon SLRs, but it has been known to work with other SLRs as well. It is beautiful and upbeat – perfect for a teenager or young woman who wants to steer clear of boring black. It comes with a handy flip-out compartment which gives you easy access to your camera at all times. It comes in a stylish colour and has luxury lining to accent your already handsome Canon SLR, and is reinforced with nylon and scratch-proof suede for safety and protection. Have you ever seen so much space in one camera bag? When it comes to handy compartments, the Tamrac has it all. 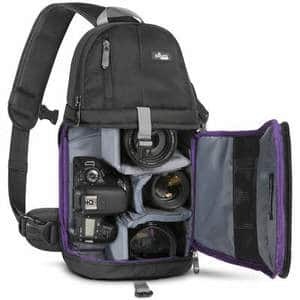 It can carry up to two digital/film DSLRs with lenses attached, a number of extra lenses, and dozens of accessories. The dividers within the bag allow for a wide number of layout options, while the many pockets will keep small bits and pieces safe. Despite the amount of equipment it can hold, this bag can easily fit under an airplane seat, making it a great second carry-on. Durable and tough, this is a bag that will last for years to come. If you are a lady looking for a camera bag which looks nothing like a camera bag at all, this is the one for you. 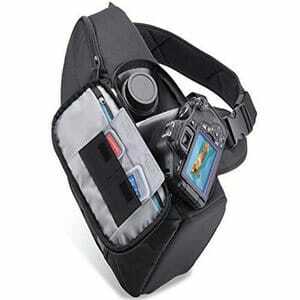 This Kelly Moore Mini camera bag will hold a professional DSLR with a lens attached (up to nine inches in length). It has been made with water resistant material that will keep your camera safe from the elements, and includes a comfortable shoulder strap. If you aren’t out on a photo shoot, this bag is also appropriate for daily use.